Current head of the Fire and Rescue Division at the Scottish Government, Richard Dennis, has been appointed the new chief executive officer ofAccountant in Bankruptcy (AiB). Boasting a long and distinguished career in the Civil Service, both in Scotland and at Whitehall, Dr Dennis (pictured) will join AiB from April when he will be taking over from Rosemary Winter-Scott, who is retiring. Prior to his role with the Fire and Rescue Division, Dr Dennis was the Head of Civil Law Policy and before that held a range of finance related posts including a five year spell at the UK HM Treasury. 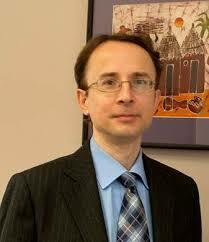 He has also worked with the European Commission in the Directorate General concerned with Environmental Policy. This experience is being seen as pivotal while AiB prepares itself for the implementation of the Bankruptcy and Debt Advice (Scotland) Act in April this year. Dr Dennis said: “AiB is recognised as an efficient, dynamic and hardworking agency and one which is admired across the Scottish Government, and beyond. Rosemary Winter-Scott retires after five years at AiB, during which she has overseen the development of the Bankruptcy and Debt Advice (Scotland) Act, which will see compulsory money advice, financial education and a new route into bankruptcy for people with few assets become law. She has also supervised the formation of Scotland’s Financial Health Service, a pioneering initiative to signpost the most financially-vulnerable people in Scotland to advice and support from trusted organisations. Welcoming Dr Dennis to AiB, she said: “Richard brings a huge range of skills and relevant experience which will be invaluable to AiB in a period of significant change for the agency.